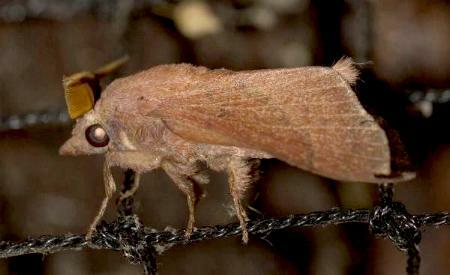 The adult moths of this species have brown forewings with a pattern of dark lines. 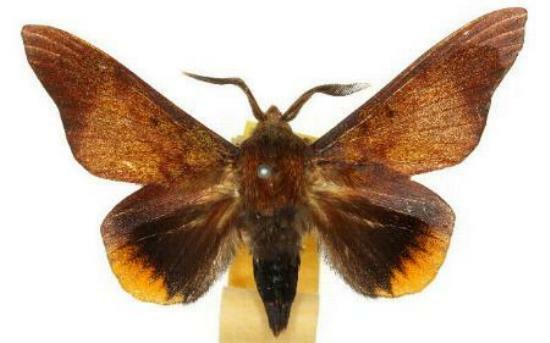 The hindwings are black with an orange margin. The wingspan of the males is about 5 cms. Paris, 1841, p. 257, No. 4. Entomological Society of Victoria, 2008, pp. 10-11.